Description: Set in the Summer of 2011, before London Bridge Station roof had been torn down and the Shard skyscraper completed. The route runs from Finchley Road to London Bridge on some subsurface and elevated sections of track. 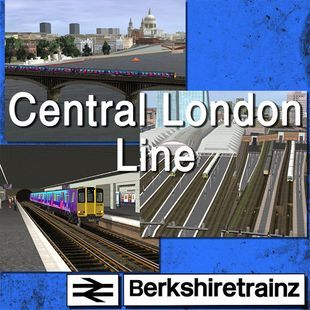 Description: I'm releasing a route of mine that I was working on a while back but never finished because I ran out of ideas for it, but it seemed like too good a route to be forever condemned to rot in an external hard drive so I'm offering it to the trainz community, who are welcome to use it as a source of inspiration, extend or incorporate it into existing routes. Set somewhere in the suburbs of West London, based on the Acton, Putney area with a very large degree of artistic licence thrown in; for a route only a few miles long it has a surprisingly large amount of operating potential. Routes made for Pre-TS12 versions of Trainz, Please note these won't have been tested in TS12 and TANE. Description: The Chinnor and Princes Risbrough was opened to the public in 1993 and is increasing in popularity. This quaint branch runs through some very beautiful scenery of the chilterns from the Village of Chinnor to Thame Junction. Chinnor and Princes Risbrough railway are currently working on extending to Princes Risbrough. 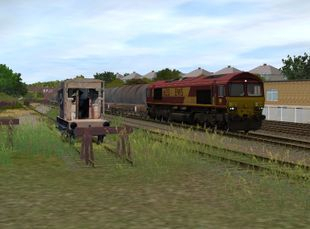 Description: This route is a modification of Angelahs original work, its what the Hayling Island branch would have looked like if the preservation proposals for it actually became true. Suitable for TS10 and 12.